Hindu Marriage Act, 1955 - S.15 - Remarriage of the spouse who obtained the ex parte decree of divorce will not render the application filed by the opposite spouse for setting aside the ex parte decree infructuous and that the application in that regard has to be considered on its own merits notwithstanding the remarriage. Whether remarriage of the spouse who obtained an ex parte decree of divorce, after the filing of the application for setting aside the ex parte decree by the opposite spouse would render such application infructuous. In the instant case, the appellant had remarried after he received notice in the application filed by the respondent for setting aside the ex parte decree of divorce and during the pendency of the application. Remarriage of the appellant had not rendered the application filed by the respondent for setting aside the ex parte decree of divorce infructuous. Divorce Act, 1869 - S. 57 - Hindu Marriage Act, 1955 - S. 15 - Divorced persons when may marry again - Liberty to parties to marry again. The aforesaid provisions grant liberty to a spouse, who has obtained a decree of divorce, to marry again after the expiry of the time for filing the appeal or when an appeal is filed, after the dismissal of the appeal. Strictly speaking, these provisions do not prohibit the spouse, who has obtained an ex parte decree of divorce, to marry again before the expiry of the time for filing an application to set aside the ex parte decree or during the pendency of such an application filed by the opposite spouse. However, on parity of reasoning and logic, judicial precedents have made it clear that, the principle underlying the aforesaid provisions also applies to an application for setting aside an ex parte decree of divorce. Penal Code, 1860 - S. 494 - Bigamy - Whether remarriage of the appellant would amount to bigamy. The following ingredients are necessary to constitute bigamy: (1) the accused must have contracted first marriage; (2) he must have married again; (3) the first marriage is subsisting at the time of the second marriage and (4) the spouse must be living. Insofar as the present case is concerned, the remarriage of the appellant was on 12.07.2018. On that date, the marriage of the appellant with the respondent was not subsisting by virtue of the ex parte decree of divorce granted in his favour. A decree of divorce, though passed ex parte against a spouse, breaks the marital tie. Till the time it is set aside in appeal or in an application filed under Order IX Rule 13 of the Code of Civil Procedure or other appropriate proceeding, the dissolution of the marriage stands. An incapacity for second marriage for a certain period does not have effect of treating the former marriage as subsisting. Therefore, it cannot be found that remarriage of the appellant amounts to bigamy. C.K. ABDUL REHIM & R.NARAYANA PISHARADI, JJ. This appeal is filed challenging the common order dated 25.07.2018 passed by the Family Court, Ernakulam in the applications I.A.No.37/2017 and I.A.No.38/2017 in O.P.No.527/2016. 2. The appellant is the husband and the respondent is the wife. 3. The appellant filed O.P.No.527/2016 in the Family Court for granting a decree of divorce on the ground of cruelty. The respondent was set ex parte in the case. An ex parte decree of divorce was passed against her on 19.10.2016. 4. The respondent filed an application as I.A.No.37/2017 for setting aside the ex parte decree passed against her. She also filed I.A.No.38/2017 for condoning the delay of 48 days in filing the application for setting aside the ex parte decree. The appellant filed counter affidavit opposing the applications. As per the common order dated 25.07.2018, the Family Court allowed both applications and set aside the ex parte decree passed against the respondent. The husband has come up in appeal challenging the aforesaid order. 6. The ex parte decree of divorce was passed against the respondent on 19.10.2016. There was only a delay of 48 days in filing the application for setting aside the ex part decree. The respondent had pleaded before the lower court that she had delivered a premature baby on 14.07.2016 in a hospital at Thane through cesarean operation and she had to take rest for a period of three months and therefore, she could not appear before the Family Court on the date of hearing of the case. She also pleaded that she could not travel and come to Ernakulam and contact her lawyer. This resulted in the delay in filing the application for setting aside the ex parte decree. She produced Ext.A1 medical certificate to prove the aforesaid plea. 7. The appellant had contended before the lower court that the respondent was in Ernakulam till 29.09.2016 and nothing prevented her from appearing before the Family Court on the date of hearing of the case. The appellant further contended that he had remarried on 12.07.2018 and therefore, the application for setting aside the ex parte decree had become infructuous. 8. On the basis of Ext.A1 medical certificate produced by the respondent, the Family Court was satisfied that she had shown sufficient cause for the delay of 48 days in filing the application for setting aside the ex parte decree. The Family Court took note of the fact that the respondent had delivered a premature baby on 14.07.2016 and for that reason, she could not appear before the court on the date of hearing of the case. We see no reason to find that the conclusions reached by the Family Court in this regard are in any way illegal or improper. Admittedly, the respondent is residing in Mumbai. There can be no dispute with regard to the fact that she had delivered a premature baby on 14.07.2016 in a hospital at Thane. Therefore, it is quite natural that she had to take rest for some period after the delivery. 9. The fact that the respondent had come to Ernakulam on 29.09.2016 and gave complaint against the appellant to the police does not necessarily mean that on the date of hearing of the case she was in Ernakulam. 10. The appellant has raised a plea that he remarried on 12.07.2018 and therefore, the application filed by the respondent for setting aside the ex parte decree had become infructuous. 11. In the instant case, the appellant had remarried on 12.07.2018. 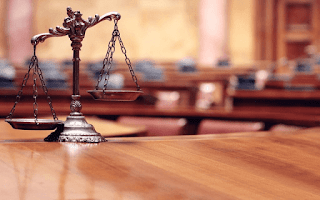 Admittedly, it was after receiving notice in the application for setting aside the ex parte decree and during the pendency of that application that the appellant remarried another lady. 12. The question arises whether remarriage of the spouse who obtained an ex parte decree of divorce, after the filing of the application for setting aside the ex parte decree by the opposite spouse would render such application infructuous. "15. Divorced persons when may marry again.-- When a marriage has been dissolved by a decree of divorce and either there is no right of appeal against the decree or, if there is such a right of appeal, the time for appealing has expired without an appeal having been presented, or an appeal has been presented but has been dismissed, it shall be lawful for either party to the marriage to marry again". “57.Liberty to parties to marry again.-- Where a decree for dissolution or nullity of marriage has been passed and either the time for filing the appeal has expired without an appeal having presented to any Court including the Supreme Court or an appeal has been presented but has been dismissed and the decree or dismissal has become final, it shall be lawful for either party to the marriage to marry again". 15. The aforesaid provisions grant liberty to a spouse, who has obtained a decree of divorce, to marry again after the expiry of the time for filing the appeal or when an appeal is filed, after the dismissal of the appeal. Strictly speaking, these provisions do not prohibit the spouse, who has obtained an ex parte decree of divorce, to marry again before the expiry of the time for filing an application to set aside the ex parte decree or during the pendency of such an application filed by the opposite spouse. However, on parity of reasoning and logic, judicial precedents have made it clear that, the principle underlying the aforesaid provisions also applies to an application for setting aside an ex parte decree of divorce. 17. Chandra Mohini (supra) was followed by the Apex Court in Tejinder Kaur v. Gurmit Singh: AIR 1988 SC 839 and by this Court in Suhasini Devi v. Padmanabhan: 1989 (1) KLT 658 and Suchithra v. Anil Krishnan : 2007 (2) KHC 680. “What appears to me is that when an order of nullity of marriage is made and the law allows an appeal as well as an application to set aside an ex parte order and actually these remedies have been resorted to, any act of the parties pending final disposal of those remedies availed of cannot have the effect of rendering them infructuous, so to speak. Where such remedies are provided from an order, the order should be taken to be valid and in force, but only subject to the result of the application to set aside the ex parte order or the result in the appeal. To hold otherwise would mean that by an act of the party, he can successfully defeat the lawful remedy accorded to the aggrieved person. It is true the filing or pendency of an application to set aside an ex parte decree or an appeal does not work as an automatic reversal of the order. But once an application is allowed and the ex parte order is set aside, the order passed in such an application re-opens the trial, or if the appeal is allowed, the order made in the appeal should be taken to be the order that should have been passed at the trial”. 19. There is cleavage of opinion among the High Courts on the issue. One line of thinking is that the interest of a third party is intervened on account of remarriage of the spouse who obtained the ex parte decree of divorce and that the interest of that party has also to be taken into account by the court and therefore, the remarriage renders the application for setting aside the ex parte filed by the opposite spouse infructuous. Some of the High Courts also take the view that subsequent events shall be taken note of by the court in deciding an application for setting aside an ex parte decree of divorce (See S.P. Srivastava v. Prem Lata Srivastava :AIR 1980 All 336, Harjeet Singh v. Guddi: 1987 (2) Hindu Law Reporter 24, Babita Laul v. Vijay Laul:MANU/PH/0642/2009,Jharna Rani Ghosh v. Prabir Kumar :MANU/WB/1363/2014 and Raja Sundari v. Suresh Kumar :AIR 2016 Mad 160). 20. The other line of thinking is that remarriage of the spouse cannot defeat the right of the opposite party and when sufficient ground is established for setting aside the ex parte decree, that relief cannot be denied merely on the ground of remarriage of the spouse who obtained the ex parte decree. Relying upon Chandra Mohini (supra), many High Courts have taken the view that the principles underlying Section 15 of the Hindu Marriage Act, on parity of reasoning, can be extended to proceedings for setting aside ex parte decree of divorce, which is a remedy lawfully available to a spouse aggrieved by such decree (See S.K. Bose v. Premi Bose: I (1992) DMC 506, Sadan Kumar Chaurasia v. Indira Bai Sadan Kumar: 1997 (1) MPLJ 124, Mukesh Kumar Richariya v. Smt. Madhu Richar: II (2001) DMC 187, Kuldip Kumar Lal v. Suman Rani: AIR 2012 Raj 175, Manish Soni v. Usha Soni: MANU/RH/0297/2013 and Maganti Krishna Durga v.Maganti Anil Kumar: MANU/AP/0211/2015). 21. However, the preponderance of view is that remarriage of the spouse who obtained the ex parte decree of divorce will not render the application filed by the opposite spouse for setting aside the ex parte decree infructuous and that the application in that regard has to be considered on its own merits notwithstanding the remarriage. 22. In Bhagyalakshmi v. Balamani (judgment dated 22.05.13 in Mat.Appeal.No. 133 of 2012), the ex parte decree of divorce was passed on 17.06.2011. Remarriage of the spouse was on 14.10.2011. As per order dated 22.11.2011, the Family Court dismissed the application for setting aside the ex parte decree for the reason that the husband had remarried on 14.10.2011. A Division Bench of this Court held that such a development which took place subsequent to the ex parte decree, cannot by itself, determine the fate of the application for setting aside the ex parte decree and that the view taken by the Family Court is untenable. 23. We may also take note that remarriage of the party who obtained a decree of divorce, before the expiry of the period prescribed for filing appeal or after filing the appeal, does not render the appeal infructuous (See Lata Kamat v. Vilas : AIR 1989 SC 1477, Suchitra v. Anil Krishnan: 2007 (2) KHC 680, Rajeshwari v. Jugal Kishore Gupta : AIR 1990 MP 217, Kadambani Sahu v. Reshamlal Sahu : AIR 1990 MP 150 and Vimlesh v. Prakash Chand Sharma : AIR 1992 All 260). “Approach of the Court while dealing with such an application under Order IX Rule 13 C.P.C would be liberal and elastic rather than narrow and pedantic. However, in case the matter does not fall within the four corners of Order IX Rule 13, the Court has no jurisdiction to set aside ex parte decree. The manner in which the language of the second proviso to Order IX Rule 13 C.P.C has been couched by the legislature makes it obligatory on the appellate court not to interfere with an ex parte decree unless it meets the statutory requirement” (emphasis supplied). “It was not permissible for the High Court to take into consideration the conduct of the appellant subsequent to passing of the ex parte decree”. 25. Taking cue from the decision of the Supreme Court in Parimal (supra), we are of the firm view that remarriage of the spouse who obtained the ex parte decree of divorce will not render the application for setting aside the ex parte decree filed by the opposite spouse infructuous. Remarriage of the spouse is not a relevant factor to be taken into account in deciding the merits of an application filed for setting aside an ex parte decree of divorce. The application under Order IX Rule 13 of the Code of Civil Procedure has to be considered on its own merits within the four corners of that provision. 26. In the instant case, the appellant had remarried after he received notice in the application filed by the respondent for setting aside the ex parte decree of divorce and during the pendency of the application. Remarriage of the appellant had not rendered the application filed by the respondent for setting aside the ex parte decree of divorce infructuous. 27. The lower court has observed that remarriage of the appellant would amount to bigamy. Learned counsel for the appellant submitted that this observation made by the lower court is wrong and unwarranted. We find force in this submission. 28. The following ingredients are necessary to constitute bigamy: (1) the accused must have contracted first marriage; (2) he must have married again; (3) the first marriage is subsisting at the time of the second marriage and (4) the spouse must be living. Insofar as the present case is concerned, the remarriage of the appellant was on 12.07.2018. On that date, the marriage of the appellant with the respondent was not subsisting by virtue of the ex parte decree of divorce granted in his favour. A decree of divorce, though passed ex parte against a spouse, breaks the marital tie. Till the time it is set aside in appeal or in an application filed under Order IX Rule 13 of the Code of Civil Procedure or other appropriate proceeding, the dissolution of the marriage stands. An incapacity for second marriage for a certain period does not have effect of treating the former marriage as subsisting. Therefore, it cannot be found that remarriage of the appellant amounts to bigamy. 29. However, we find no illegality or impropriety in the order passed by the lower court setting aside the ex parte decree of divorce passed against the respondent, after condoning the delay of 48 days in filing the application in that regard. Consequently, we dismiss the appeal. No costs.